Even though there is 60% less traffic at night, over 40% of the fatal car accidents take place at night. Statistics show that there is a three times greater risk of a fatal collision at night. Even though there is 60% less traffic at night, over 40% of the fatal car accidents take place at night. In this post, our St. Louis car accident lawyers will discuss common causes of these accidents, and some tips on preventing them. The conditions at night are not very conducive for driving. Sunlight is the strongest source of light during the day. Man made lights help the drivers to navigate at night, however this light is not always sufficient. The lack of natural lighting often makes it difficult to see bends and other hazards on the road. 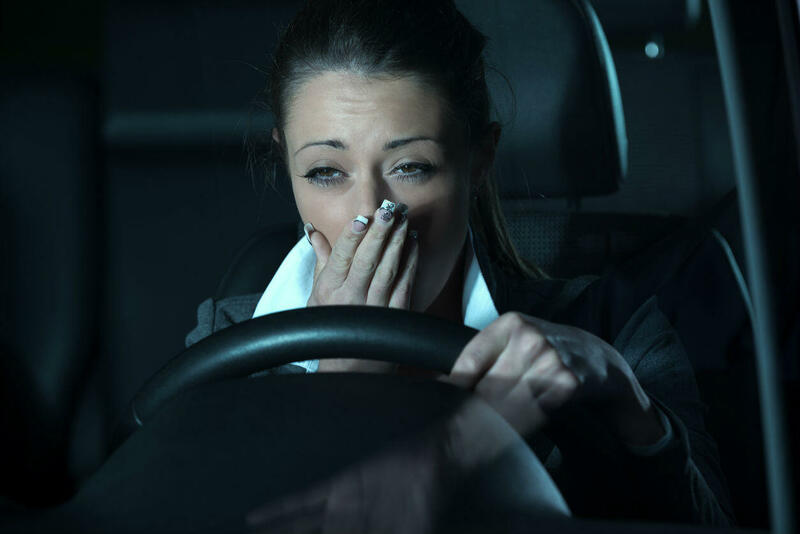 Very often, drivers are tired at night and are not very alert while driving. Some drivers tend to fall asleep while they are behind the wheel. At times truck drivers are drunk and do not drive properly under the influence of alcohol. 31% of such accidents occur on weekends. The maximum number of intoxicated drivers are on the road between 12 a.m. to 3 a.m. Additionally, records show that only 18% of the fatal crashes which occur during the day are caused by drunk drivers, while 54% of the crashes in the night time are caused by intoxicated drivers. Another reason for accidents at night may be that it is a rush hour and there is too much traffic. Moreover, drivers may have a disability which prevents them from driving properly in the dark. Their night vision may be reduced. One of the most important factor which is responsible for collisions is speeding. It causes 30% of the fatal crashes. Driving at high speeds in the dark can be very dangerous. Besides this, people tend to neglect the safety guidelines and do not wear a seat belt at night. So two-thirds of the casualties in the accidents which occur at night are due to this negligence. If teens are driving at night there is an even greater chance of a collision due to distracted driving. Usually, they do not have much experience and do not drive carefully. Finally, bad weather can make it dangerous to drive at night. If there is rain the roads can become slippery and the automobiles can spin or skid due to hydroplaning. Stay away from the blind spots while driving near big commercial vehicles at night. The drivers of big vehicles like trucks cannot see some areas around the vehicle. These are called blind spots. They are mainly in the front quarter on the right side, the rear corner on the left, and just behind the vehicle. Avoid passing a truck when it is taking a turn or when it is backing. Always pass trucks from the left side. If you switch lanes maintain some distance from a truck which is coming behind. Follow these tips and drive safely at night. If you happen to get into a nighttime accident, get in touch with a competent St. Louis car accident attorney at The Hoffmann Law Firm, L.L.C. We can evaluate your claim free of charge and help you protect your legal right to compensation after an accident. Call us 24/7 at (314) 361-4242 for a free consultation.